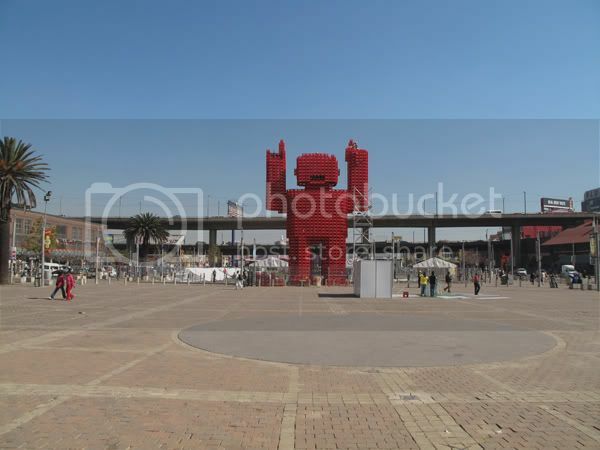 Per CherryFlava.com, Coca-Cola teamed up with Animal Farm to create a terrific "CrateFan" statue in Johannesburg that will surely turn some heads during the next four weeks of World Cup competition taking place. 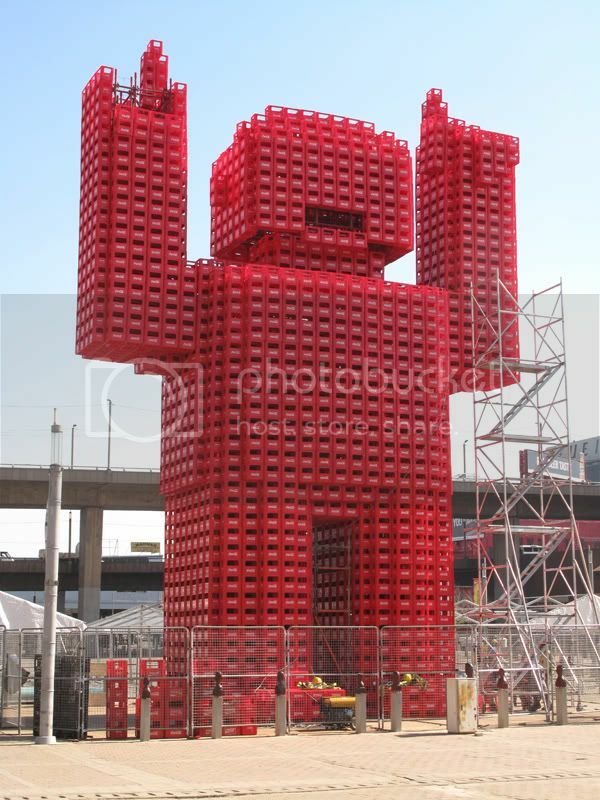 The statue, made entirely of 2,500 standard Coca-Cola bottle crates, stands 16.5 meters high and weights approximately 25 tons. How did they do it? The Cratefan statue is part of a recycling project on behalf of Coca-Cola. 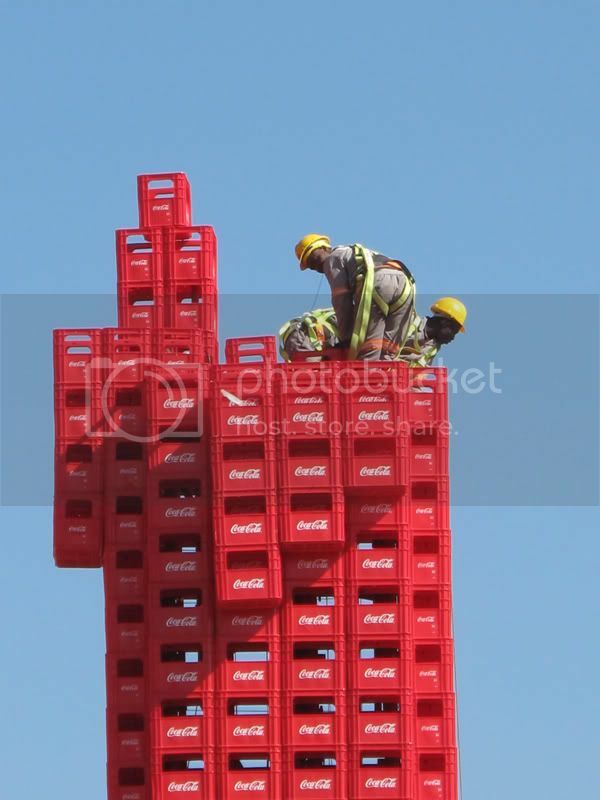 Animal created a scaffolding clad that could hold 2,500 bottle crates and a few workers were assigned to complete the job, stacking crates one on top of another. All of the materials will be either recycled or reused once the unique statue is taken down.